away. So when the proud king was once more cool and fresh, and came to the place where he had left his clothes and his horse, there were no clothes to be seen, and no horse. bath. He walked by the shore of the lake and cast about in his mind what he should do. “I have it,” he cried at last. The porter opened the gate, and was amazedat what he saw. “Wretch!” said the proud king; “I am the emperor. Go to your master.Bid him come to me with clothes. I have lost both clothes and horse.” “A pretty emperor!” the porter laughed. “The great emperor was here not an hour ago. He came with his court from a hunt. My master was with him and sat at meat with him. But. stay you here. I will call my master. Oh, yes! I will show him the emperor,” and the porter wagged his beard and laughed, and went within. He came forth again with theknight and pointed at the proud king. “There is the emperor!” he said. “You dog!” cried the knight. The porter looked on and laughed. duke’s great hall, and knocked three times. At the third knock the porter opened the gate, and saw before him a man clad only in a mat of reeds, and stained and bleeding. opened it there stood the proud king. The duke turned away and went back to his hall, where his friends sat at table. looked around on his guests. and chains bound his feet. came at last and looked at him. would not let the proud king enter. his side was the queen. noise without was heard in the hall. came the emperor and the queen. rage and fear, and he knew not what. “You know me!” at last he cried. “Put out his eyes,” said another. “Beat him,” said a third. not whither. He wished he were dead. “I am no emperor. I am no king. out, my lord,” he said. king, and came forward to meet him. not in the robes of the  emperor. The king bowed his head before him. “I am thy angel,” said the man. 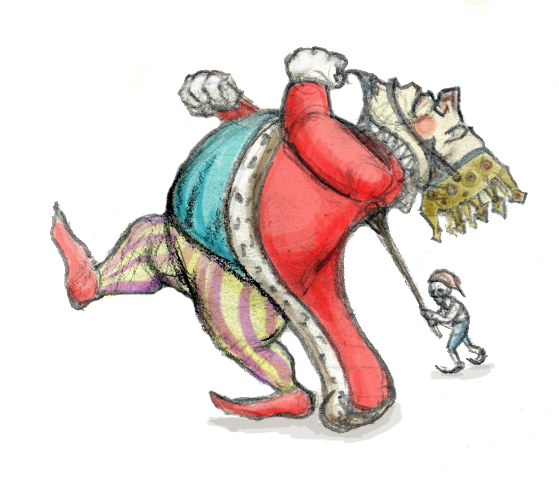 nobles thought the king had bowed to them. So the king once more sat on the throne, and ruled wisely and humbly ever after. Fresh Job in Canada Apply Now!